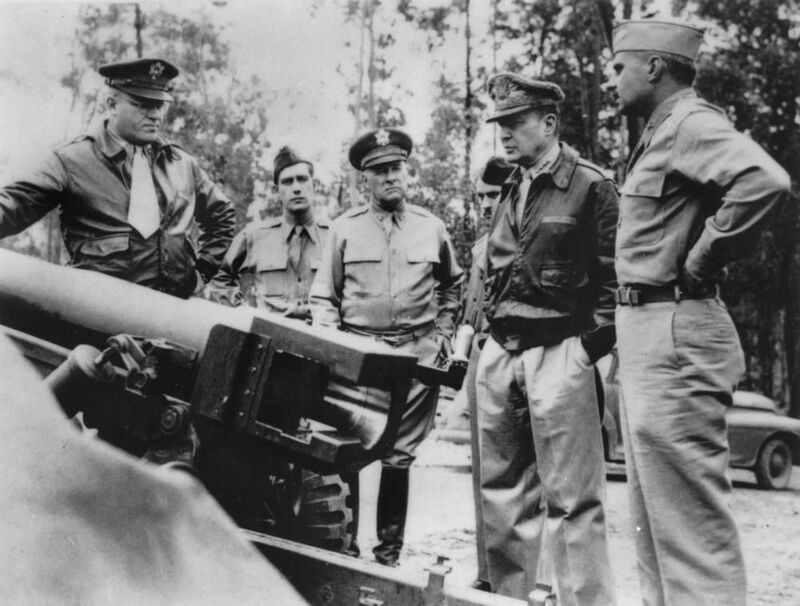 In mid-December 1941 Colonel Dwight Eisenhower of the US War Department, recommended that Australia be developed as a base of operations from which to sustain and support US forces fighting in the Philippines under General Douglas MacArthur. Planning got underway on 15 January 1942 with the creation of a joint command for cooperation between American, British, Dutch and Australian forces (ABDA) in the Pacific. 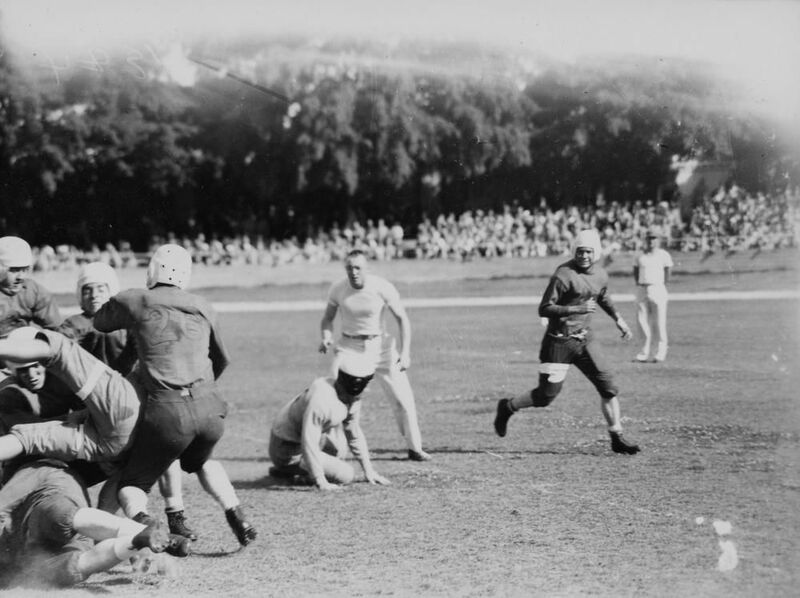 US forces began to pour into Queensland and by the war’s end, more than one million US troops had been stationed in or passed through the state. Stability in the Pacific region continued to deteriorate during 1941. A United States-led embargo on oil supplies to Japan increased the pressure on that country to strike southwards towards the oilfields of the Netherlands East Indies and the rubber plantations of Malaya to satisfy its demand for essential resources. On 7 December 1941 Japanese carrier-borne aircraft made a surprise attack on the US naval base at Pearl Harbor in the Hawaiian Islands. At the same time Japanese forces launched assaults on Thailand, the Philippines and the British colony of Malaya. Rabaul, the provincial capital of New Britain, was captured on 23 January 1942 and north Queensland was suddenly within bombing range of Japanese aircraft. Dutch oil installations on Borneo came under Japanese control by 24 January. The sudden fall of Singapore on 15 February 1942 with the surrender of 80,000 defenders including 15,395 troops of the Australian 8th Division and the rapid, unchecked Japanese advance through the islands of the Netherlands East Indies raised fears of an invasion of Australia. Although Britain and the US were to adopt a ‘Beat Hitler First’ policy, the outcomes that flowed from this decision were of great consequence to Australia’s defence and future foreign policy. When the Philippines and the Netherlands East Indies fell to the Japanese, Australia became the only large landmass in the south-west Pacific from which the US could launch a counter-offensive. 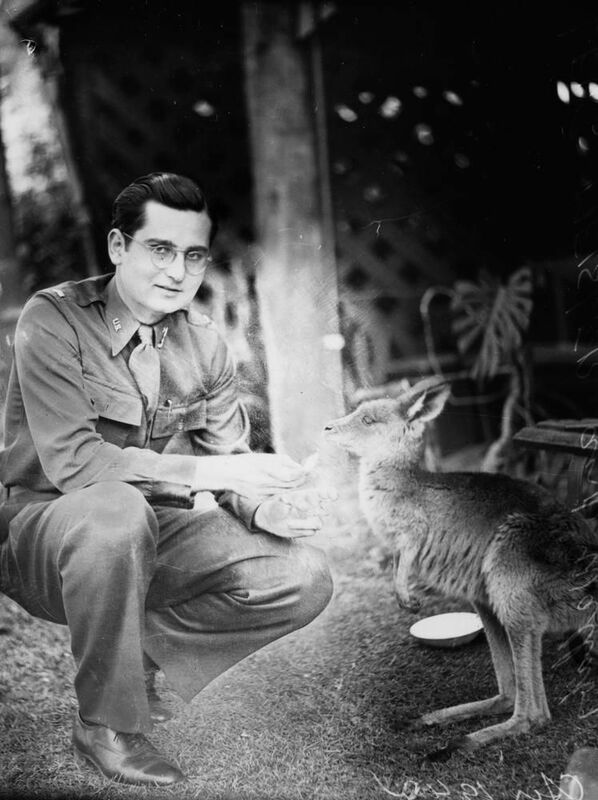 The decision that the US should take primary responsibility for the immediate reinforcement and maintenance of the region using Australia as a base, was decided between Roosevelt and Churchill and a proposal was forwarded for the creation of the South West Pacific Area of command (SWPA). Australia had no say in the decision although the Curtin government indicated its preference for a US commander-in-chief rather than continuation of British command. General MacArthur was appointed supreme commander of SWPA and on 17 March 1942, he arrived in Australia having been ordered to leave the Philippines by President Roosevelt, before the islands fell to the Japanese. His command included all Allied land and air forces in the region, including all combat units of Australia’s defence forces. 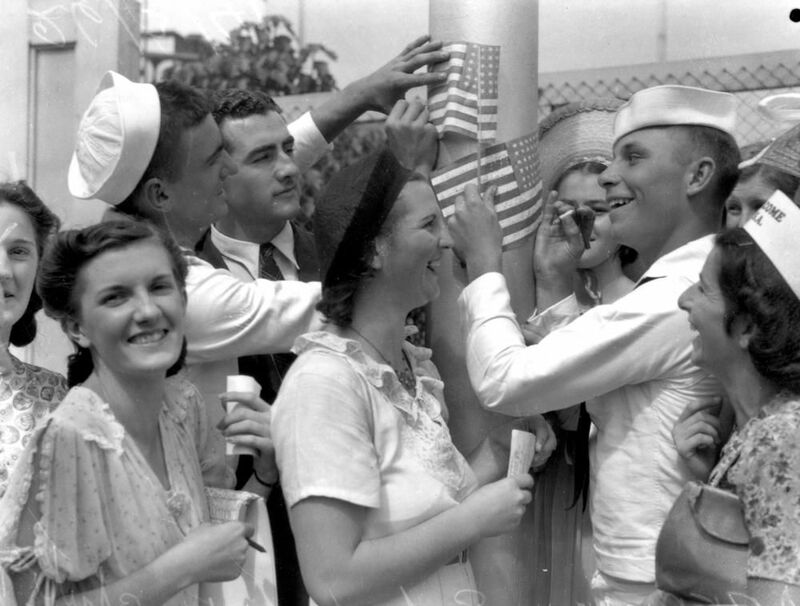 On Christmas Eve 1941 the first US troops to arrive in Australia began disembarking in Brisbane after their convoy, escorted by the cruiser USS Pensacola, was diverted from the Philippines. On 28 December Lieutenant-General George Brett arrived in Australia to establish a structure to distribute supplies and personnel throughout the country by setting up Base Sections for the giant United States Army Services of Supply organisation (USASOS). Headquarters for US Base Section 3 in Brisbane was established on 5 January 1942 with the requisition of Somerville House, formerly a private school for girls. 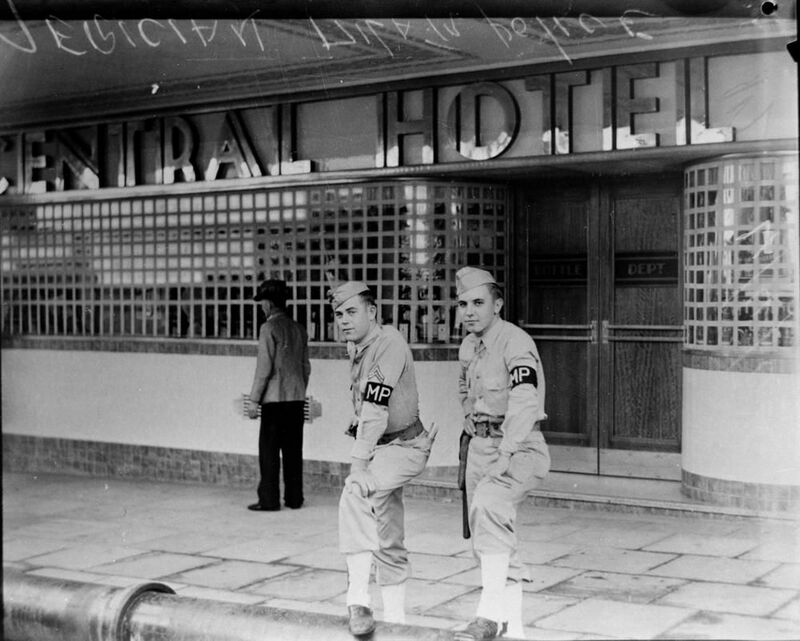 In July 1942 General MacArthur moved his headquarters from Melbourne to Brisbane, to be closer the New Guinea front line and the growing US troop encampments and supply centres around Rockhampton and Townsville. The Australian Mutual Provident Society building in Queen Street, Brisbane, was taken over by MacArthur who set up his office in the boardroom while his staff occupied the remaining floors of the building. 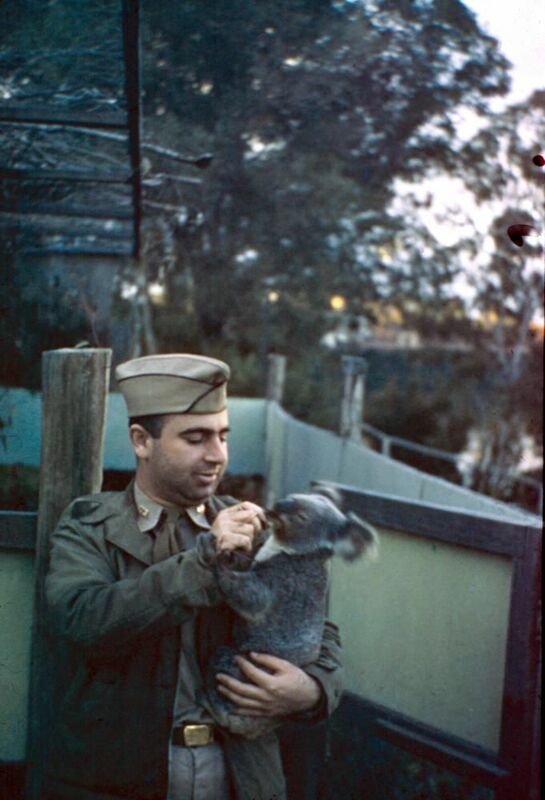 MacArthur kept his headquarters in Brisbane until September 1944 when he moved to New Guinea. 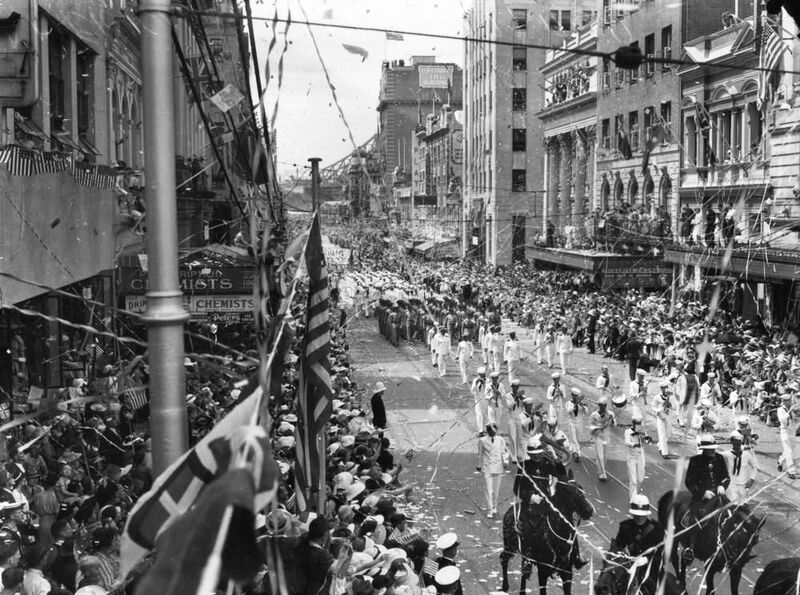 During 1942 and 1943 Brisbane’s population was swollen to over half a million armed forces and civilians. 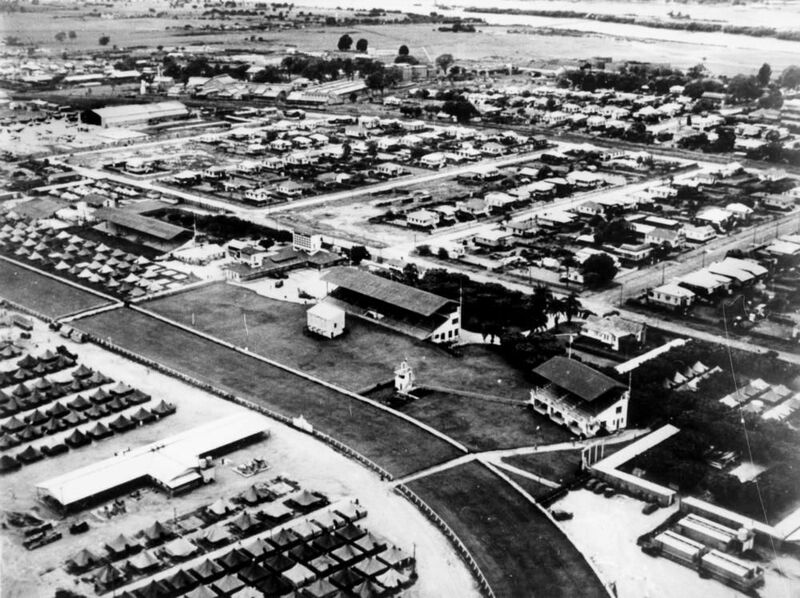 Thousands of US troops were encamped at Doomben racecourse and other area around the city including Banyo, and Camp Columbia at Wacol. As the US military took over Brisbane, resentment by some Australian troops over the advantages enjoyed by the Americans led to clashes. 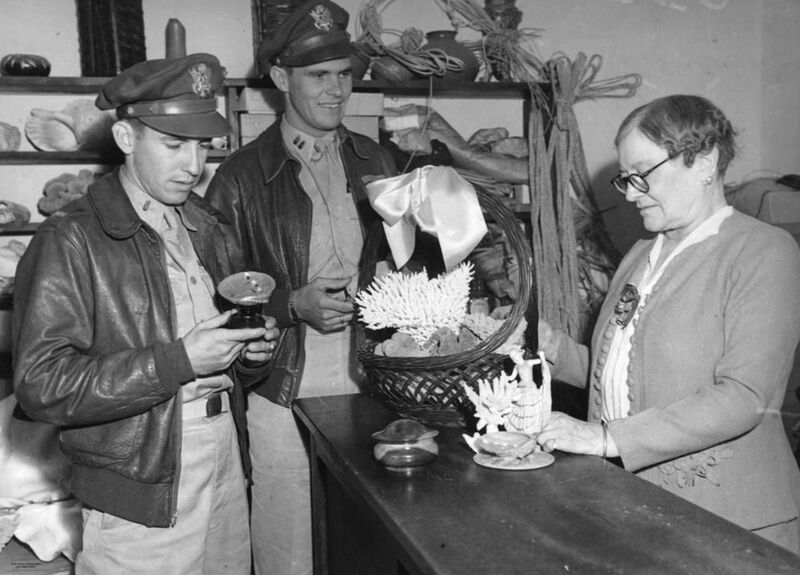 The Americans had chocolates, ice cream, perfume, silk stockings and dollars and they were able to show the local girls a good time. 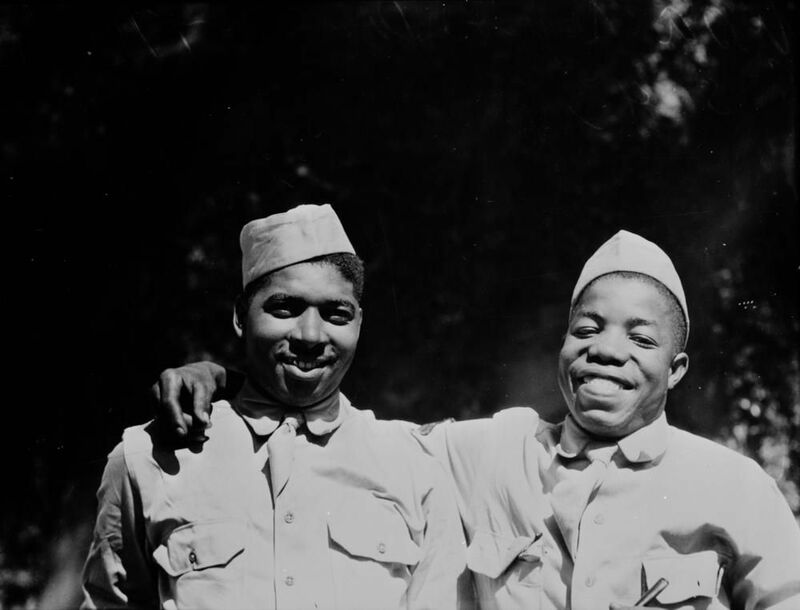 There was also tension over the segregation and treatment of African-American soldiers. 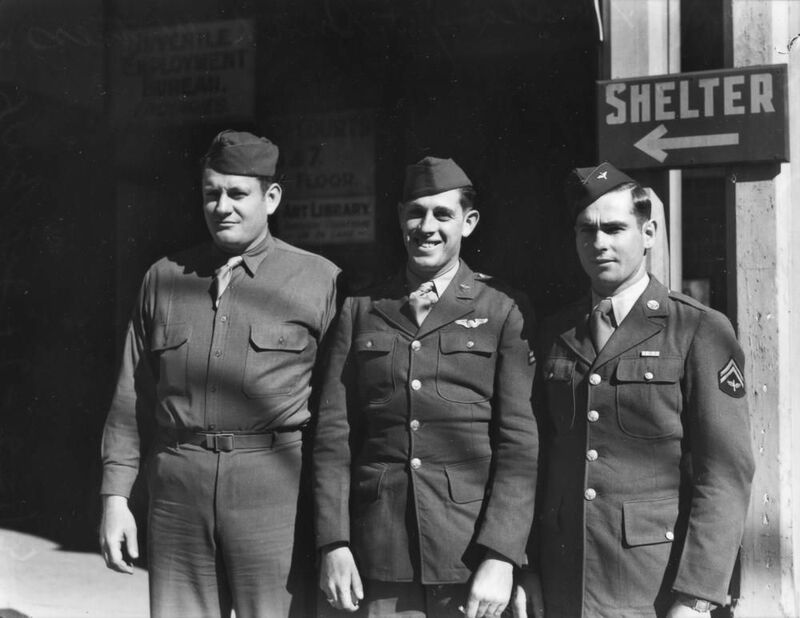 Over two days in November 1942 the centre of Brisbane became a war zone after an intoxicated US private stopped to chat with three Australian diggers and was challenged to produce his leave pass by a US military policeman. When the MP drew his baton the Australians attacked. More MP’s arrived blowing whistles while nearby Australian servicemen and civilians rushed to assist their countrymen. The MP’s withdrew to the American PX on the corner of Adelaide and Creek Streets and armed themselves with shotguns as rocks and bottles broke the windows. Soon 5000 people were involved in the disturbance as sporadic fights broke out through the city. The two day battle left one Australian soldier shot dead, eight with severe gun shot wounds and several hundred injured. Eight US military police and four US officers were also hospitalised. 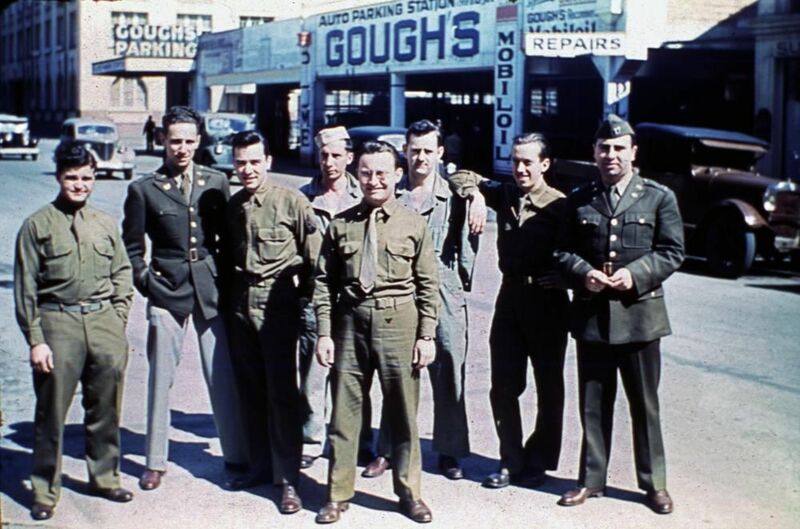 In January 1942, US officers arrived in Townsville to investigate the development of an airfield and supply network and the formation of US Base Section Two as the north Queensland centre of USASOS. Headquarters for the organisation was established in the Australian Mercantile Land and Finance Building on the corner of Denham and Walker Streets, Townsville. Townsville was chosen as an air base and for the assembly of crated aircraft and vehicles because of its port facilities. What soon became a flood of US equipment and supplies commenced with the arrival of the first Liberty Ships discharging amphibious vehicles and jeeps, and the first consignment of P-39 fighter aircraft. On 19 February (the day of the initial Japanese air raid on Darwin), the first B-17 Flying Fortresses of the US 19th Bombardment Group (BG) landed after having flown the Pacific. Three days later the first US heavy bombing mission out of Queensland left Garbutt air base to attack Japanese installations at Rabaul. 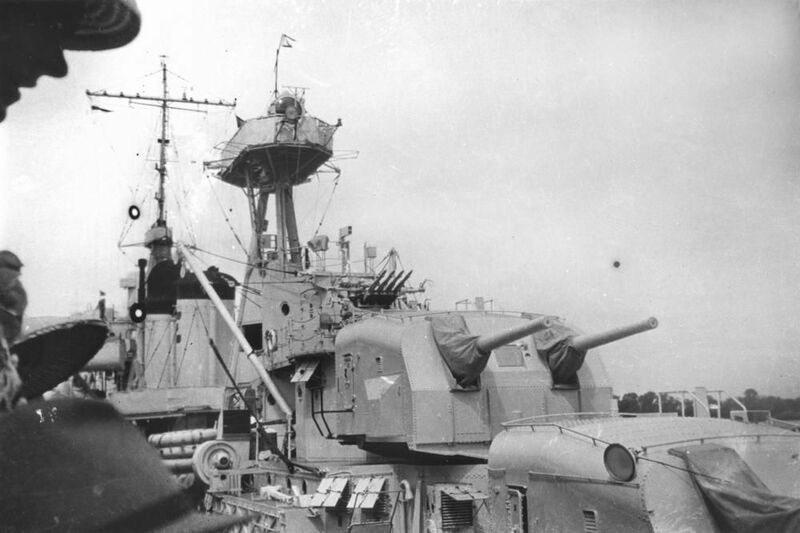 As Japanese forces continued to hold out in New Guinea and on the Solomon Islands, vessels of all types crowded into Cleveland Bay, Townsville. At times as many as 60 cargo vessels were lying at anchor off the outer harbour, awaiting their turn to enter port to unload fuel and military supplies or embark troops for Port Moresby, Buna, Milne Bay, Cape York and the Torres Strait islands. During 1942 the port of Townsville handled about 328,000 tonnes of war materials as well as 5,500 vehicles and 63,500 tonnes of fuel. The city’s population swelled to around 100,000, of whom almost 80 per cent were military personnel. 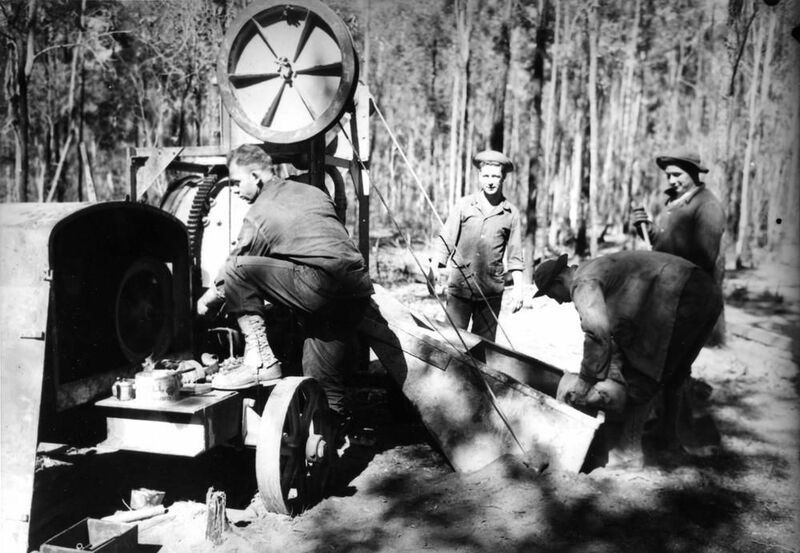 The 46th Engineer General Service Regiment left Melbourne for Townsville in March 1942 with the task of constructing airfields in north Queensland and New Guinea. They were quartered in large tent encampments on the outskirts of Townsville, including Armstrongs Paddock at Aitkenvale. Garbutt aerodrome was extended, sealed and developed on a massive scale to serve as an operational base and the terminus for heavy bomber aircraft on the Pacific ferry route. 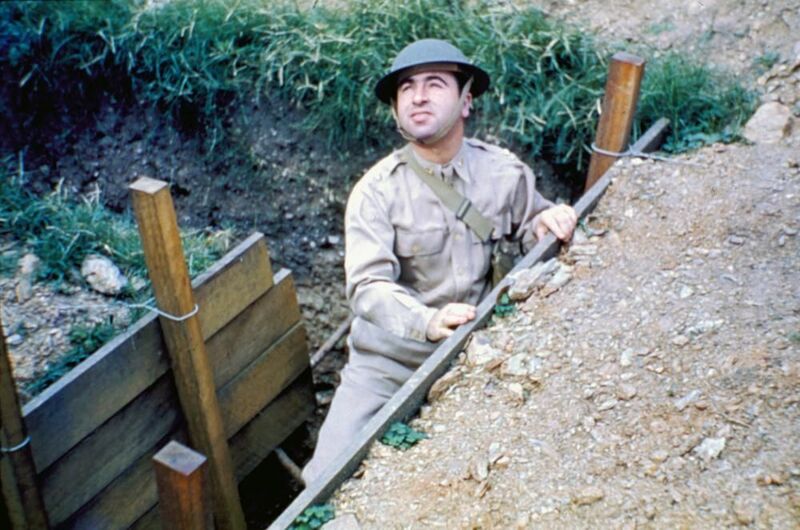 This led to the construction of US-designed igloo hangars and other buildings with taxiways, dispersal areas, bomb dumps, fuel installations and splinter-proof aircraft pens. Development of Garbutt led to the need for nearby interceptor fighter strips. 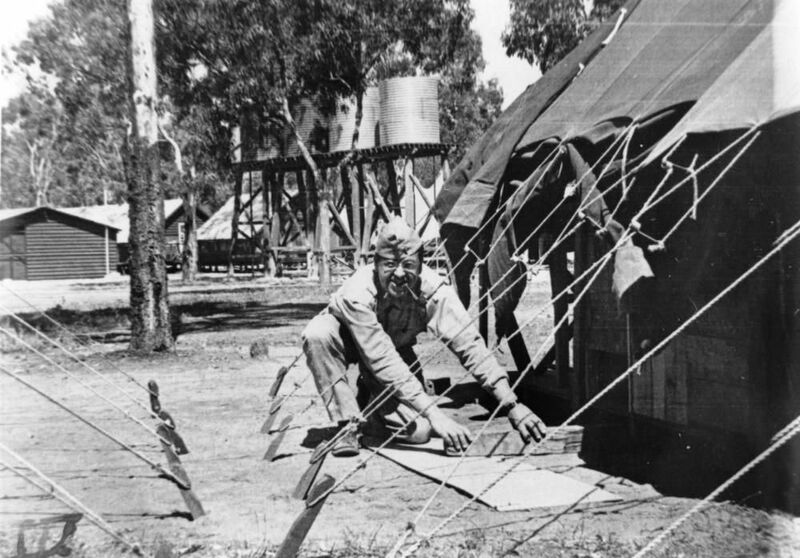 US Engineer Regiments were assigned the task of constructing airfields from Townsville to Cape York. During March, the US Engineers began clearing and building a string of gravel dispersal runways and fighter strips along the railway between Townsville and Charters Towers including at Woodstock and Reid River. At the same time, strips were being cleared around Townsville at Stockroute, Antil Plains, Bohle River and Weir (Aitkenvale). In early May 1942 during the Battle of the Coral Sea the US decided to establish a new advanced operational base at Mareeba on the Atherton Tableland. 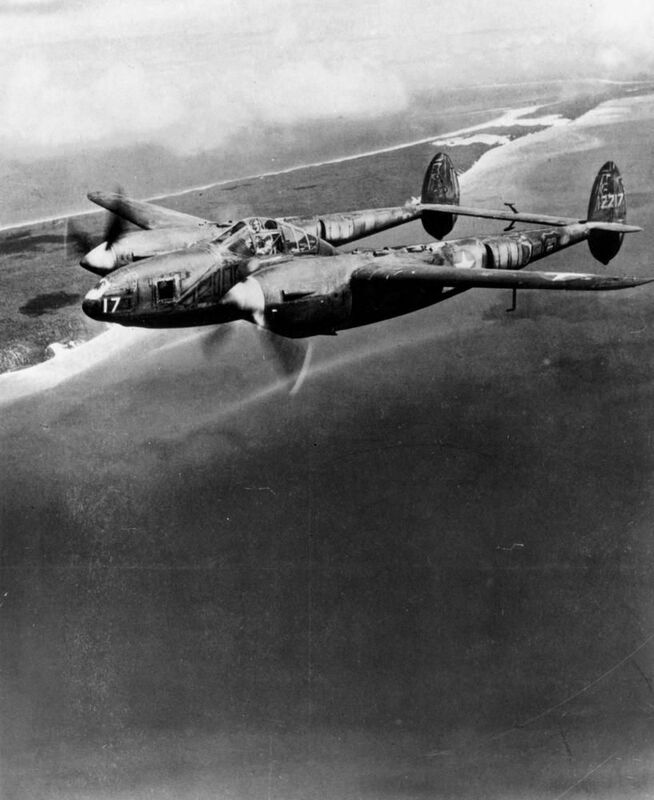 Work on Mareeba airfield started four days after the sea battle ended. From July 1942 to May 1943 up to seven heavy bomber squadrons from the US 19th and 43rd BG made Mareeba their home. 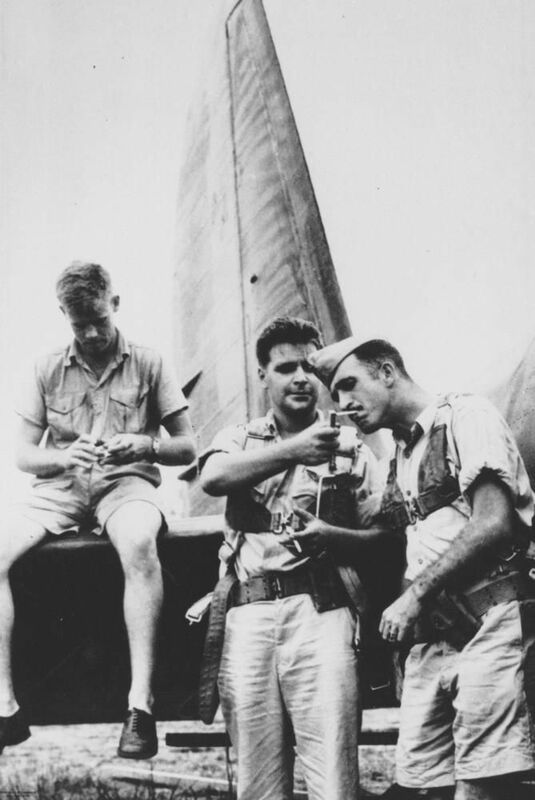 During this time they launched missions against Japanese targets in New Guinea and throughout the South West Pacific Area. With Port Moresby and Horn Island airfields regularly under attack by Japanese aircraft, Iron Range on the eastern side of Cape York was selected as a fall-back airfield for bombing strikes on the Japanese base at Rabaul. In early June US Engineers begin work at the site in dense rainforest on the Claudie River near Lockhart River mission and two unsealed strips were operational by August. The main role of the US Army in north Queensland was services and supply and comparatively few front line units were stationed there. 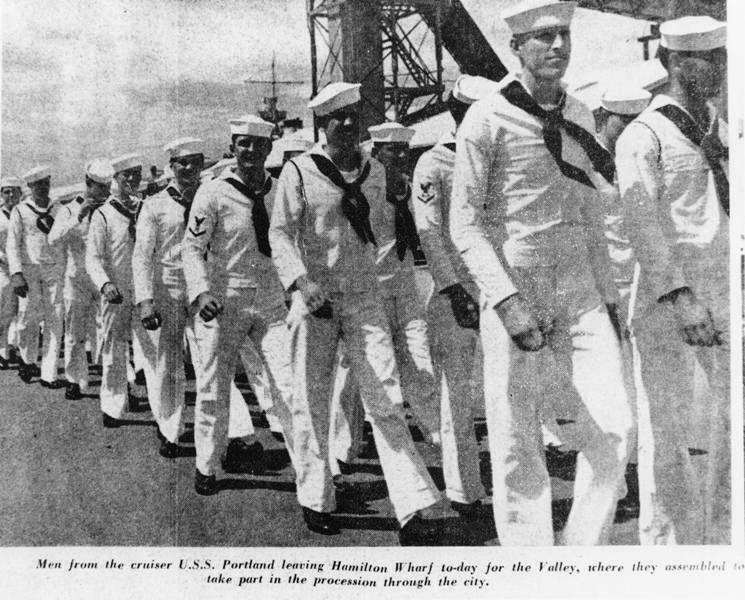 Townsville was the principal transhipment port and the arrival of increasing quantities of war materials from the US made the erection of more warehouse space an urgent priority. The main US Army ordnance depot in north Queensland was established at Townsville alongside the western railway. The huge complex was designated the Koala Ordnance Centre. In all about 60 buildings were erected including ten large igloo warehouses, including the largest igloo warehouse built in northern Australia–a heavy maintenance repair shop 185 metres in length. With the likelihood of Japanese raids on Townsville early in 1942, the USAAF reserve ammunition depot was dispersed to Torrens Creek, west of Charters Towers. By October 1942, as the strategic situation improved a new US ammunition depot known as Kangaroo Ordnance Depot, was established near Kurukan north of Townsville. Kangaroo comprised 87 hutted ammunition magazines and 35 kilometres of internal roads with stores dispersed over an area of 25 square kilometres. Peak monthly stocks at the depot amounted to about 20,000 tonnes of ammunition. In anticipation of mounting casualties from bombing raids against Japanese forces in New Guinea, the US Army moved to relocate 12 Station Hospital from Brisbane to Townsville in March 1942. Establishment of the hospital was achieved in a week after all private homes in suburban Chapman Street were taken over and the residents evicted. Walls were removed and ramps were constructed connecting all the houses on each side of the street. US station hospitals were also constructed at Woodstock, Cloncurry, Mareeba, Black River and Jungara. At Black River north of Townsville the 1000-bed 44th General Hospital contained about 150 prefabricated buildings. By April 1944 almost the entire US Army hospital program in Base Section Two was consolidated at Black River which became the largest US military hospital in north Queensland.